The glenohumeral joint (ball and socket of shoulder) is the most mobile AND the most vulnerable joint in your ENTIRE BODY. This is a two-edged sword. On one hand, you are able to take your arm through an impressively wide range of motion. On the other, the lack of structural stability makes it the most vulnerable to injuries. Over the last 10 years, I've noticed that MANY people have shoulders that are chronically tight and painful. The most common response to this, unfortunately, is to stretch the hell out of the glenohumeral joint. You know, that super mobile, vulnerable one. This is a HUGE MISTAKE. FREE Shoulder Webinar - information at bottom of page! The key to properly mobilizing and strengthening your shoulders might be in an entirely different area of the body! What many people don't realize, is that your shoulder movement comes from a variety of sources, and is dependent on a solid foundation for this movement to occur properly. Working our way from the center out toward the glenohumeral joint we need adequate function of the following before we starting cranking on the poor GHJ. I'm going to briefly go over the above in simple terms to shed some light on the subject. Breathing is massively important because the respiratory muscles connect to a lot of stuff. If the tension of those muscles is too loose or too tight, it ruins the balance of muscle tension and takes joints out of their ideal position. Core Strength is a similar animal. If your core isn't working to provide a stable structure, other surrounding muscles are going to pick up the slack and try to be your core, when they just need to be themselves. Lesson to all muscles: Just be yourself. Thoracic (middle spine) and Neck Mobility is crucial. If these don't move, the muscles will be too tight and pull other body parts out of position. 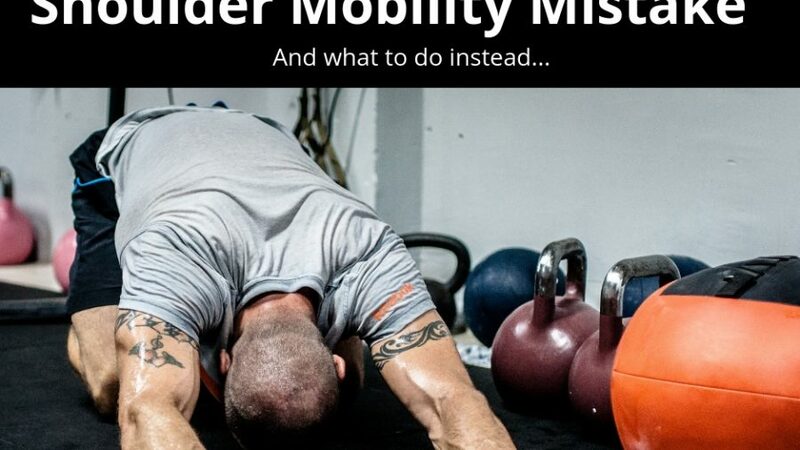 You also need mobility here for the Scapula to move around the way it should. The Scapula has a lot of potential for movement, if it doesn't move properly, the GHJ will compensate. The Scapula also houses the rotator cuff muscles, whose primary function is to rotate/move the ball and hold the ball in the socket of the GHJ. So you see, if you want to have your shoulder functioning at optimal, it is imperative to take care of the surrounding structures. You will frequently find that the GH joint is not tight at all, but instead the surrounding structures are forcing it to lock down. 5) Don't beat up on your Glenohumeral Joint. ps. I just finished up my Healthy Shoulder Webinar Series and it was a blast! If you missed it, you can access the recordings and links here for FREE.